For a while now it’s been evident that fans of It’s Always Sunny In Philadelphia would have to wait a while between the long-running comedy’s 12th and 13th seasons. 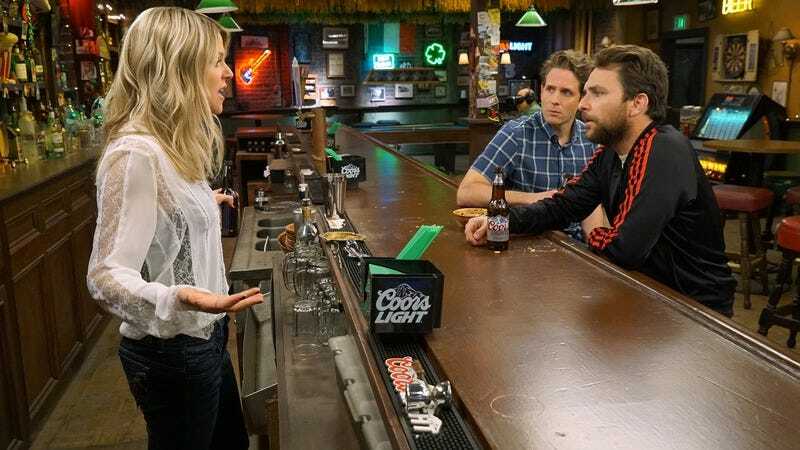 Glenn Howerton, whose appearance in future episodes is in question, told Uproxx back in March that the cast and crew “may be taking an extended hiatus between season 12 and season 13.” That’s due to the core cast’s other commitments: Howerton has a new NBC series that could prevent him from returning, Kaitlin Olson’s The Mick got renewed, Charlie Day’s making movies, and Rob McElhenney still has that Minecraft thing coming up. Now, TVLine is giving us a better sense of just when the gang might be back. Per that report, we’ll likely see the gang again sometime toward the end of 2018. Have a beer—or many—while you wait.